Mainly clear. Low around 60F. Winds WSW at 5 to 10 mph.. Mainly clear. Low around 60F. Winds WSW at 5 to 10 mph. An Orangeburg man has been charged after a woman suffered multiple facial fractures during an assault last month. “This was just brutal, the injuries this individual suffered,” Orangeburg County Sheriff Leroy Ravenell said. “There’s no reason on earth to treat another person like this,” he said. 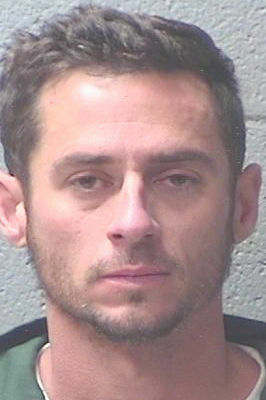 Ernest Stabler, 40, was charged with assault and battery of a high and aggravated nature. During a hearing on Friday, bond was set on the North Circle Drive man at $100,000. A woman told investigators that she and Stabler gave one of his friends a ride home. When the friend got out of the vehicle and went inside, Stabler allegedly attacked her. The woman said Stabler punched her in the face multiple times and slammed her head against a vehicle, the report said. The report notes the woman had four broken bones in her face. Stabler told investigators the woman and his friend had been using narcotics, the report said. He said she later fell onto the paved driveway at the friend’s home. However, investigators found no pavement but a grassy area where the assault was alleged to have taken place. If convicted, Stabler faces up to 20 years in prison. The ongoing investigation is being led by Investigator John Stokes.